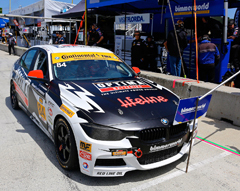 The last IMSA Continental Tire Sportscar Challenge race was nearly two months ago, and the BimmerWorld Racing team has used the break wisely to focus on development work, implementation of previous development, and testing of its turbocharged BMW 328i race cars. 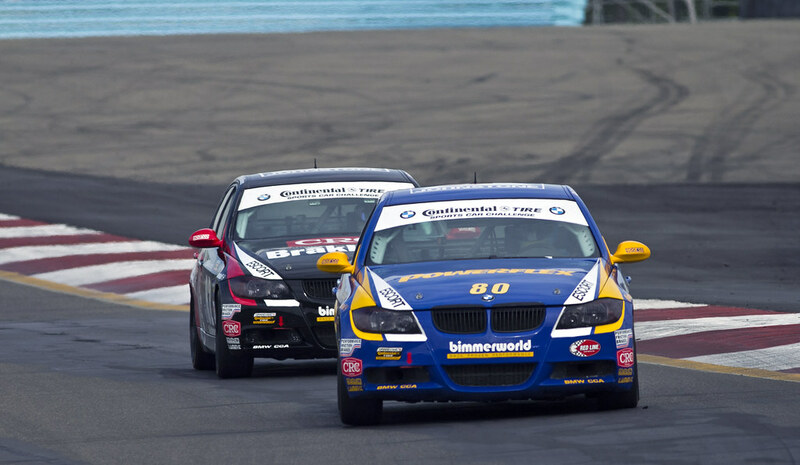 Beginning with Saturday’s Continental Tire 150 at Watkins Glen International, the series starts a stretch of four races in six weeks when teams will be working hard purely to keep cars repaired and on track, but BimmerWorld starts this summer’s long run well prepared. 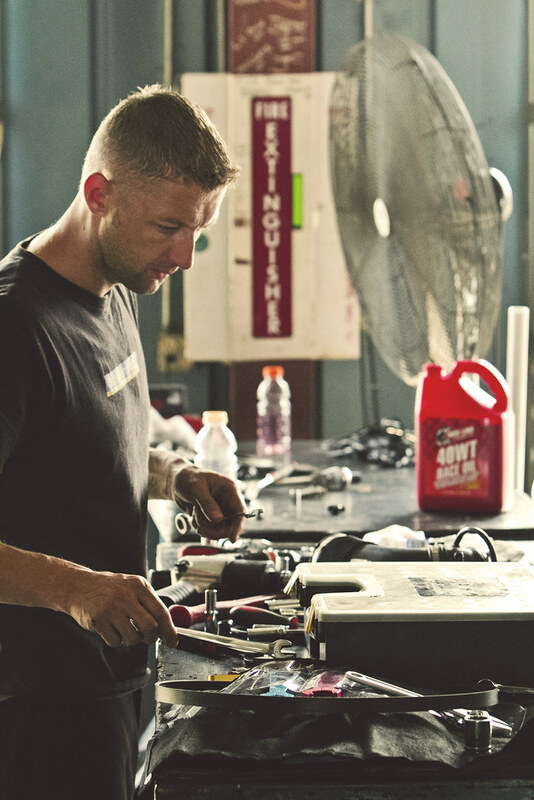 The team has a broad foundation due to the mass of its race shop and parts business headquartered in Dublin, VA, making it well suited to tackle two immediate goals: improving its engine package’s reliability, and heat control for these hot summer events. The team tested both the No. 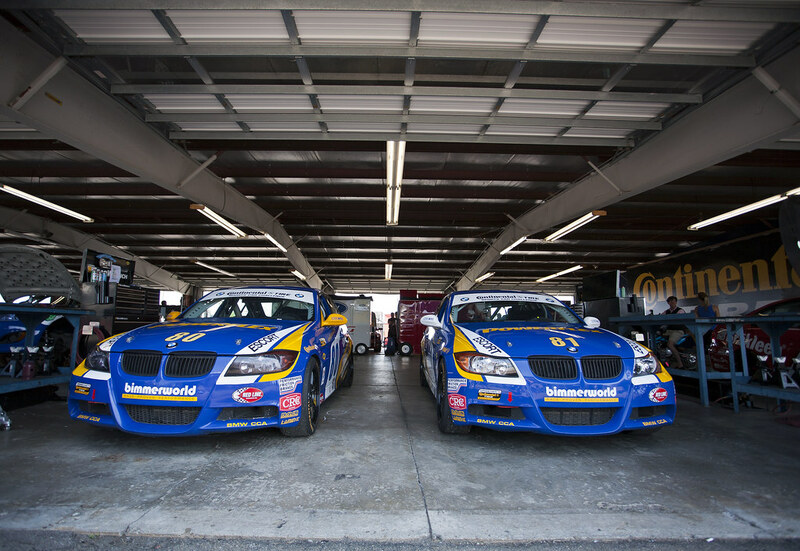 84 OPTIMA Batteries BMW 328i entry of James Clay and Tyler Cooke and the No. 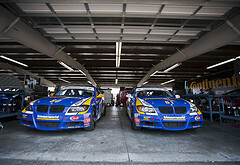 81 BimmerWorld BMW 328i of Jerry Kaufman and Kyle Tilley during the break. 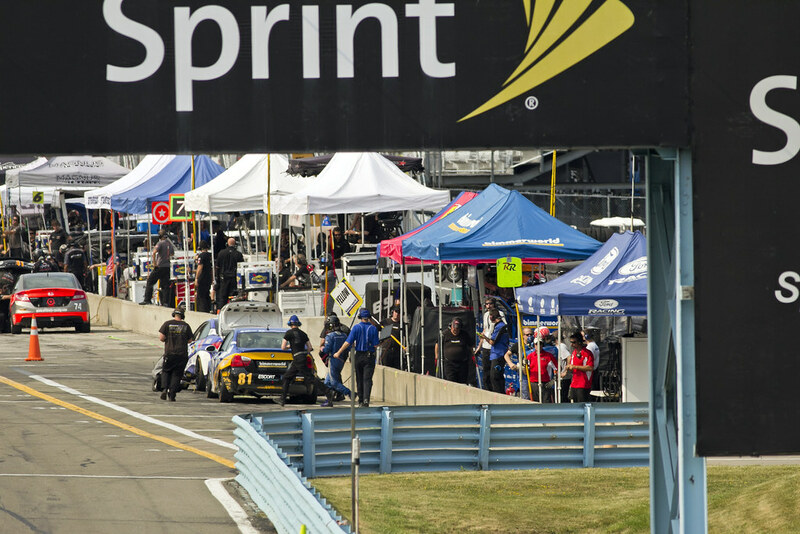 It hopes that testing will pay off at the end of Saturday’s 2-hour-and-30-minute race on the newly repaved, 3.4-mile, 11-turn road course in Watkins Glen, NY. 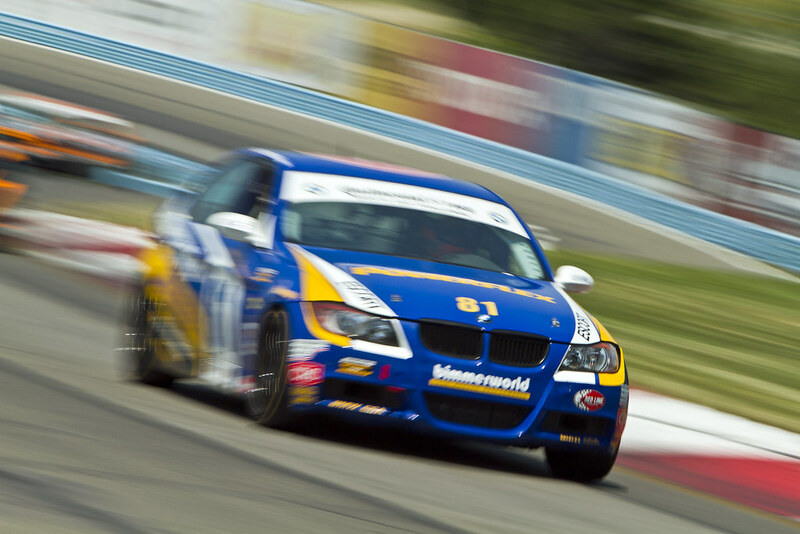 What will be the strengths of the BMW 328i at the Glen? Do any of the drivers have ties to the region? 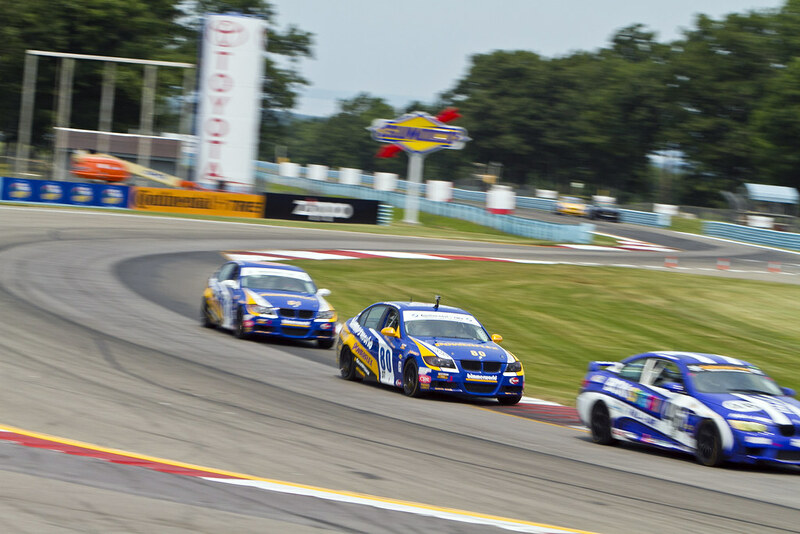 Will any of them be racing at The Glen for the first time? 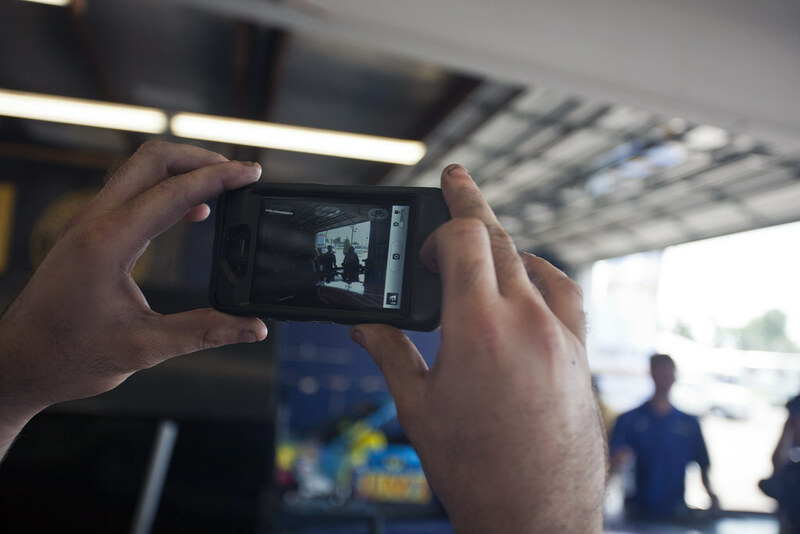 How did you spend the time off since the last race? 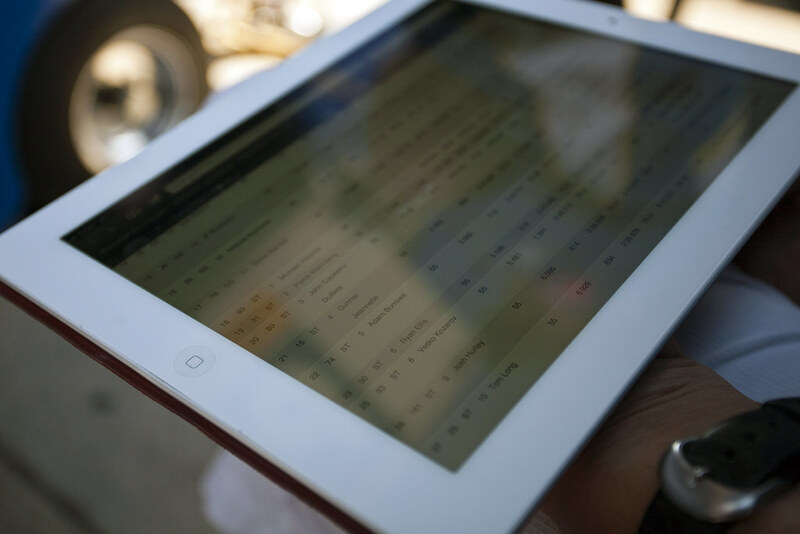 How do you prepare for three races nearly in a row in July? 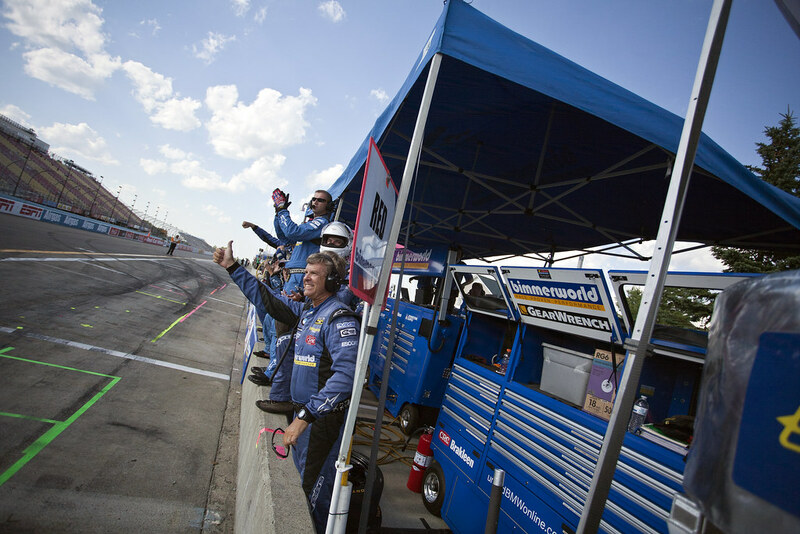 You and James are tied for seventh in the driver point standings with some success this season right now. 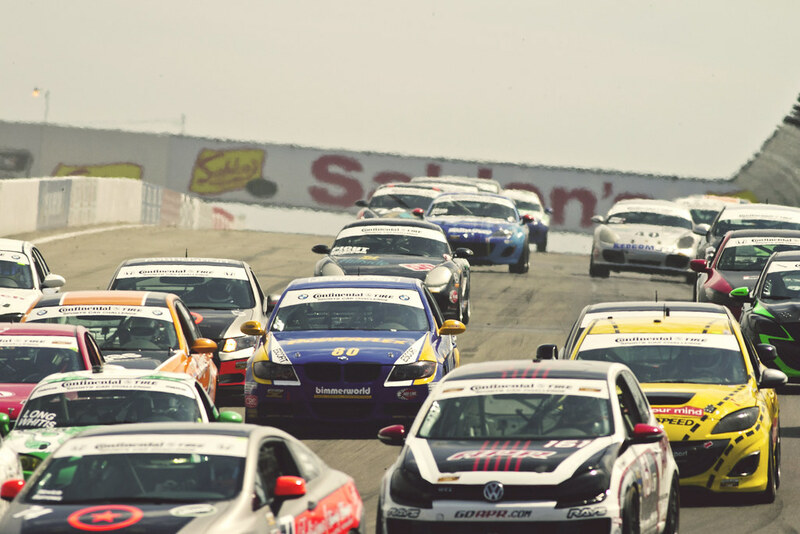 What is the focus for the next few races to move up? 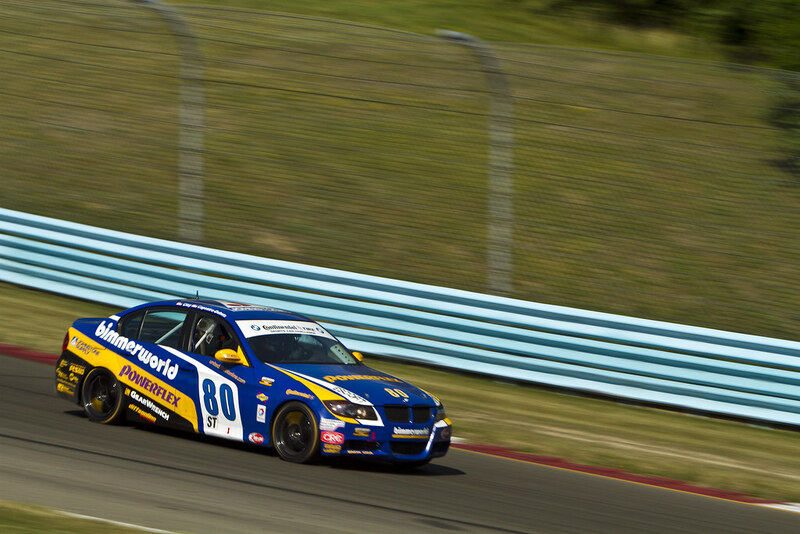 How have you been preparing Jerry for a challenging track like Watkins Glen? 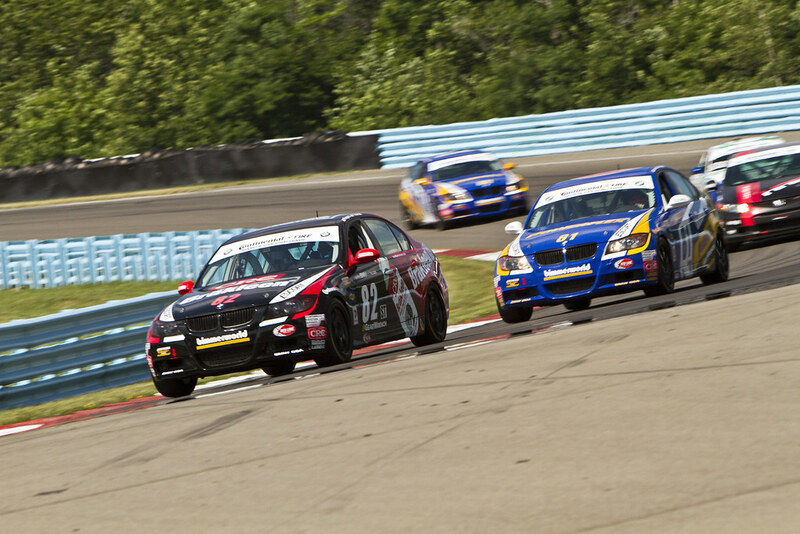 How do you like the Watkins Glen circuit, and what’s your favorite part? 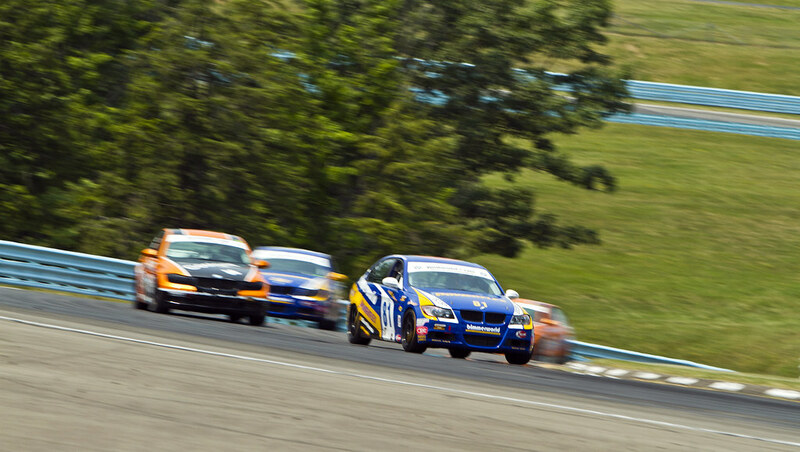 How do you anticipate the BMWs to stack up against some of the other ST class competition at The Glen? 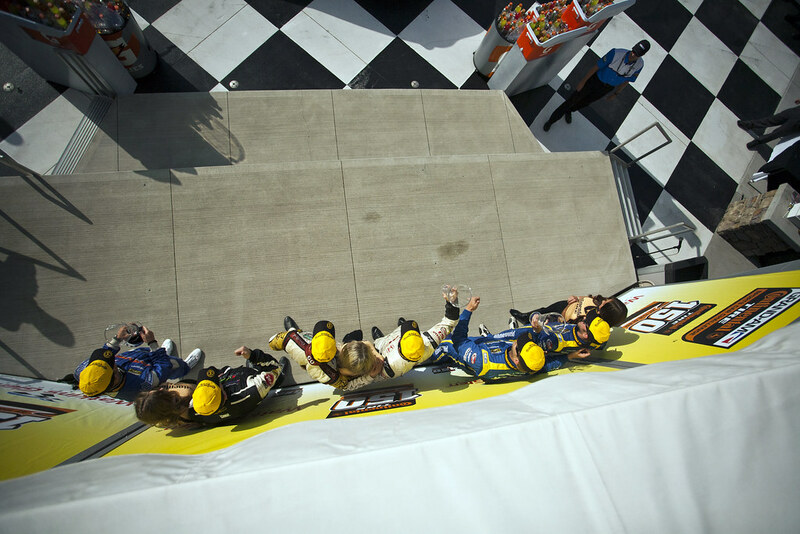 How do you think the newly repaved surface will affect the race? You have had a long break since the last race. 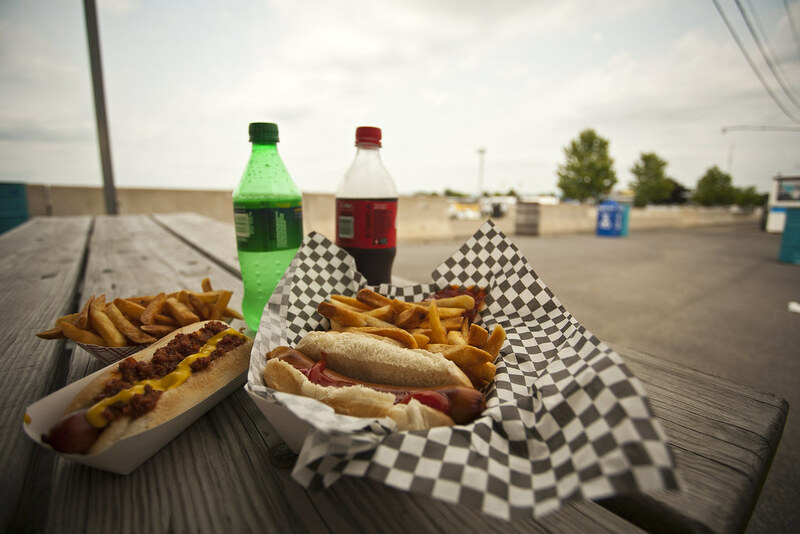 How do you stay focused and tuned between races when you have a break like this? 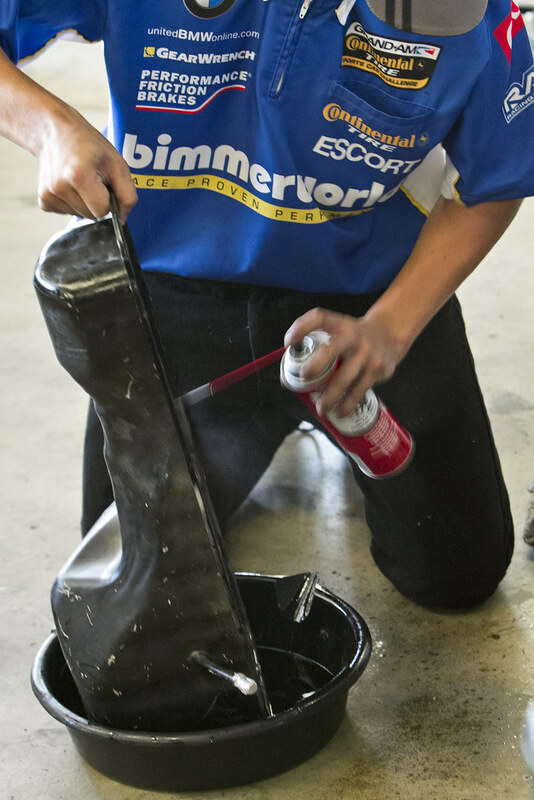 You and Kyle did some testing during the break with your turbo BMW. How did it go? What are the main differences with this car? 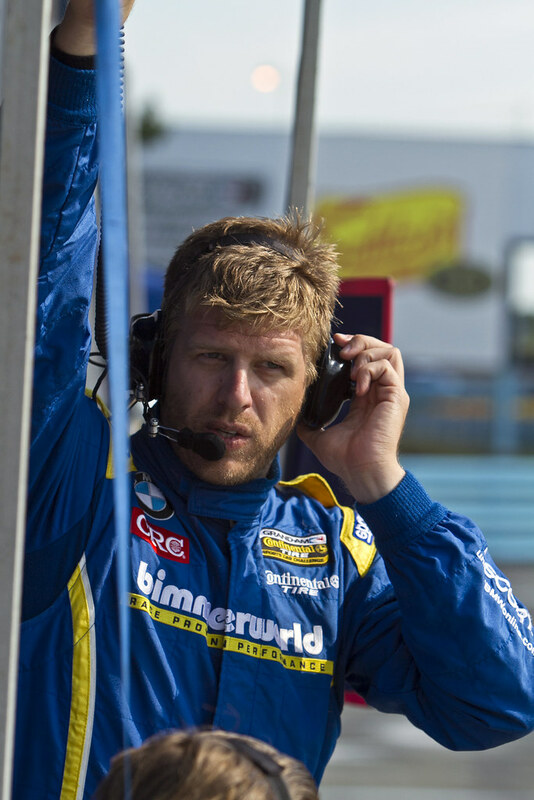 You have quite a bit of driving experience at Watkins Glen? Share some of your thoughts about the circuit. Last race’s race was affected by rain. Are you hoping for a wet or a dry race, and why? 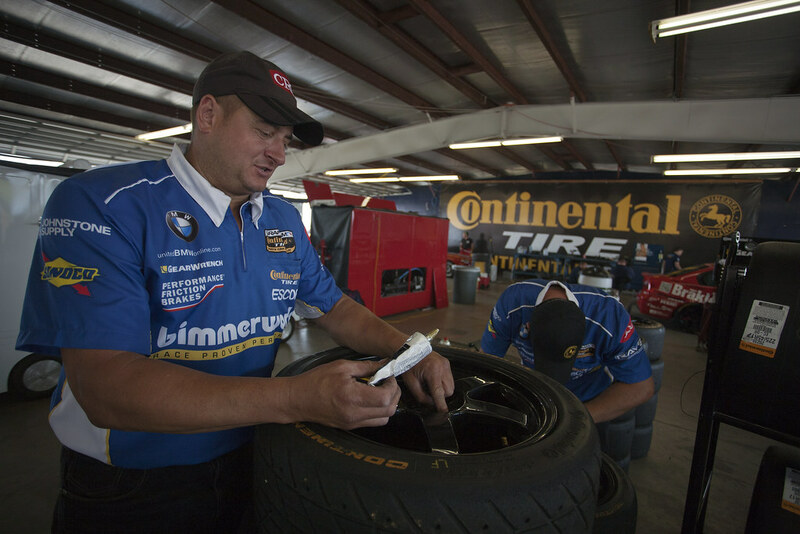 The BMW experts at BimmerWorld Racing have persevered through a string of tough races where the opposition in IMSA’s Continental Tire Series Street Tuner division have held the upper hand, yet with this weekend’s race at the rolling, high-speed Watkins Glen circuit in upstate New York, the sports car veterans are looking to exploit the enhanced cornering and braking capabilities of their BMW 328is. 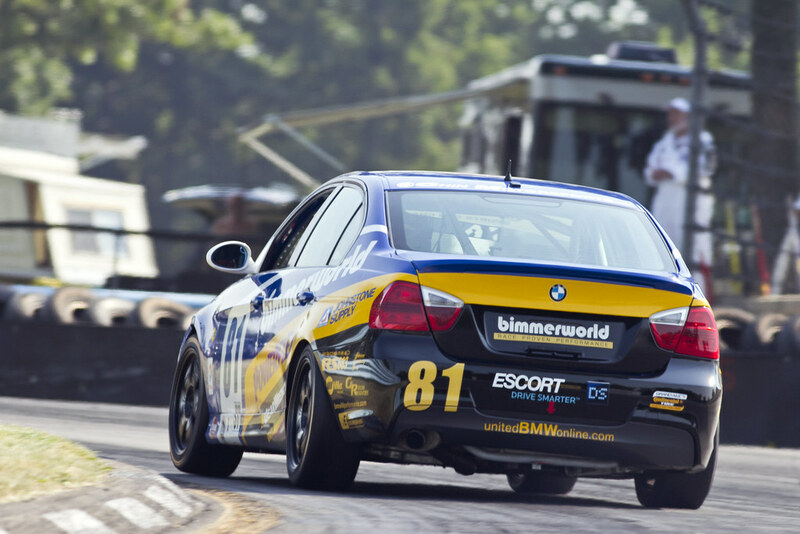 Despite the rules-based disadvantage BimmerWorld has encountered, a combination of excellent driving, phenomenal race strategy and pit stops, and amazing consistency has placed the E90-based No. 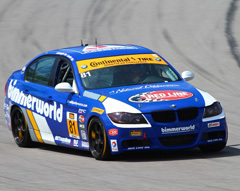 81 BimmerWorld BMW 328i piloted by Greg Liefooghe and Tyler Cooke first in the Championship standings. 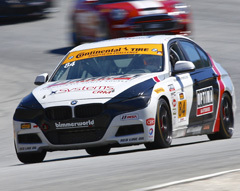 BimmerWorld also holds first in the ST Teams Championship. 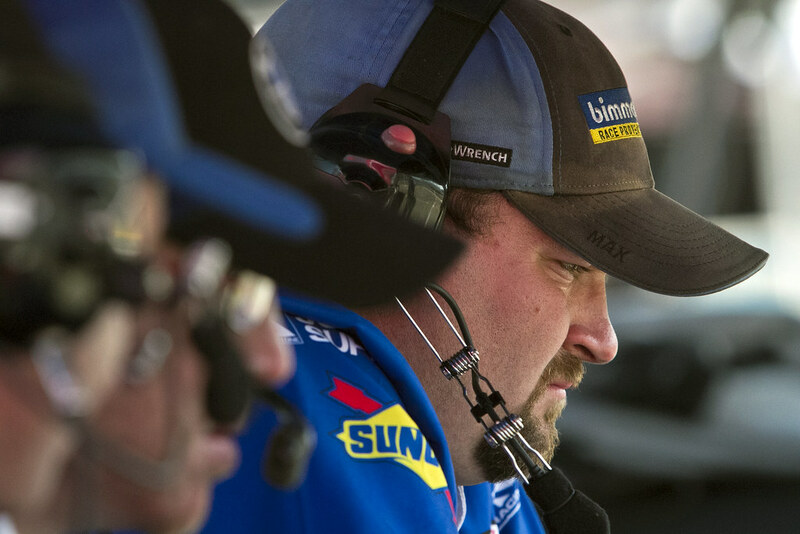 Liefooghe and Cooke have been locked out of Victory Lane so far this year, making their point-leading accomplishment even more impressive, but with more than half of the Championship left to go, the team isn’t expecting an easy run to the season finale in October. 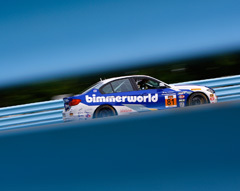 Watkins Glen presents another opportunity for BimmerWorld to log miles and learn more about the new turbocharged F30-based BMW 328i is has been developing on the racetrack this year. 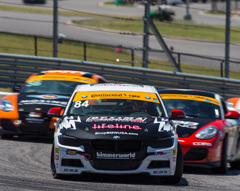 As the first pro-level F30 competing in North America, the tuning and aftermarket specialists at BimmerWorld are racing the F30 while building a crucial database of performance specs and parts that will benefit their customers. 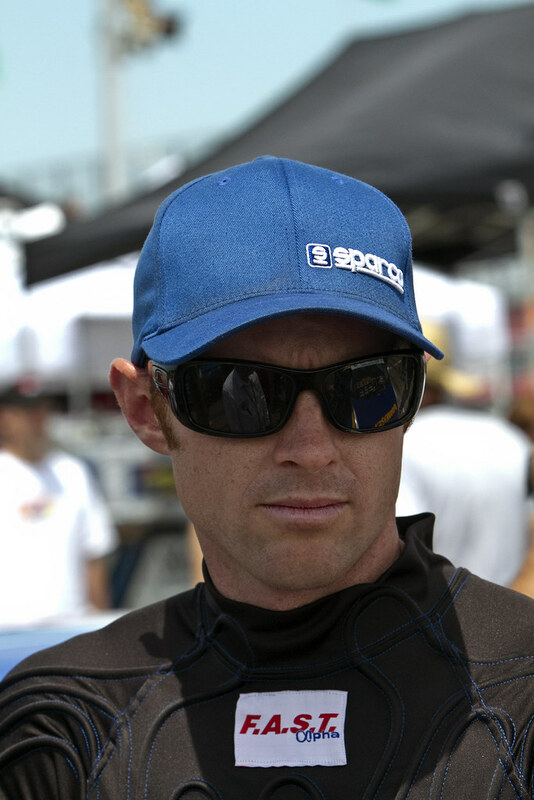 Corey Fergus, who kicked off a new driving partnership with Eric Zimmermann at Kansas in the No. 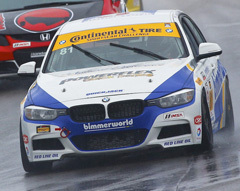 80 BimmerWorld BMW 328i, says he expects the popular 4-door sedan will offer up a stronger fight this weekend. 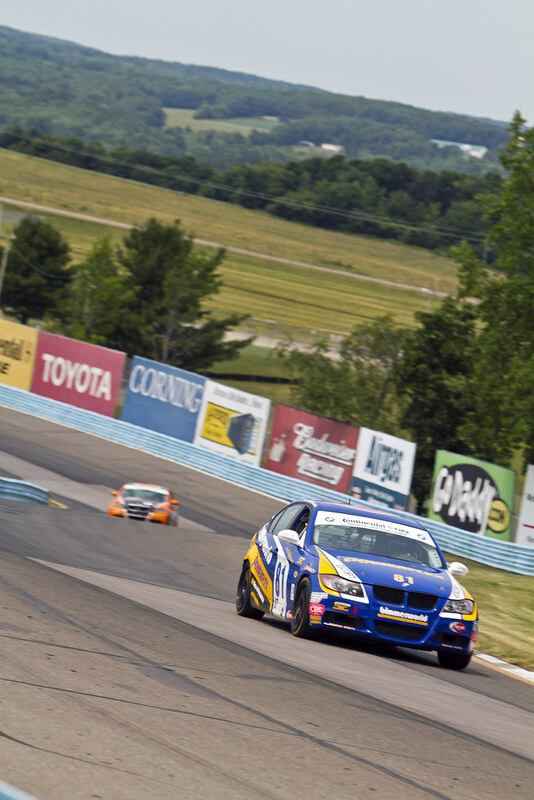 “Watkins Glen is one of my favorite tracks,” said Fergus. 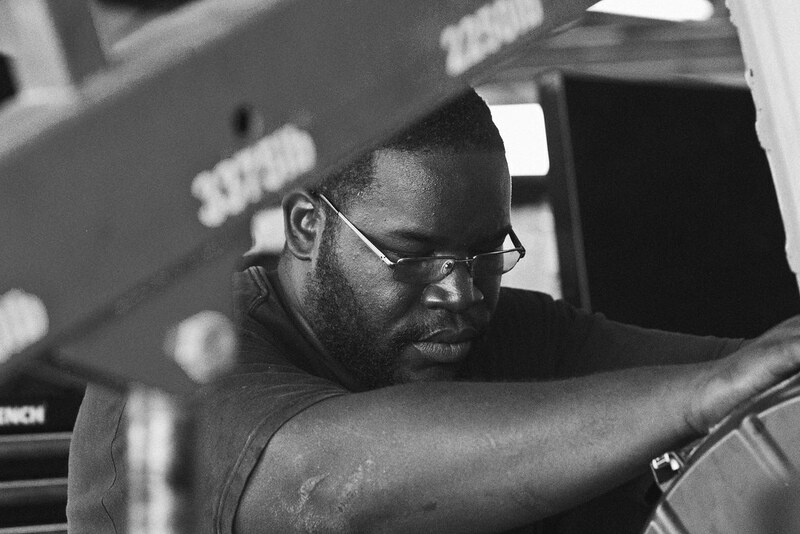 “It’s very technical and has some rhythm sections that are challenging. I was on pole there last year so I’m hoping we have a good chance at a quality finish. It’s a little bit of a horsepower track with the uphill straight leading into the bus-stop so you would expect that the cars with more top end and torque will do well there. But there are also some sections where the driver can make a difference. Those important sections to get right will be the bus-stop, the laces of the boot, the toe of the boot, and coming out of the boot. 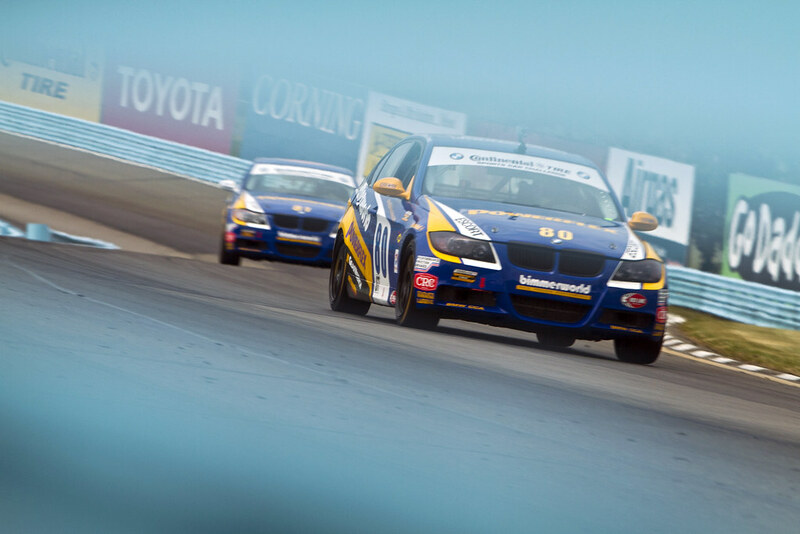 UP NEXT: Practice for the Continental Tire 150 At The Glen begins on Thursday, June 26, with the race following on Saturday, June 28. 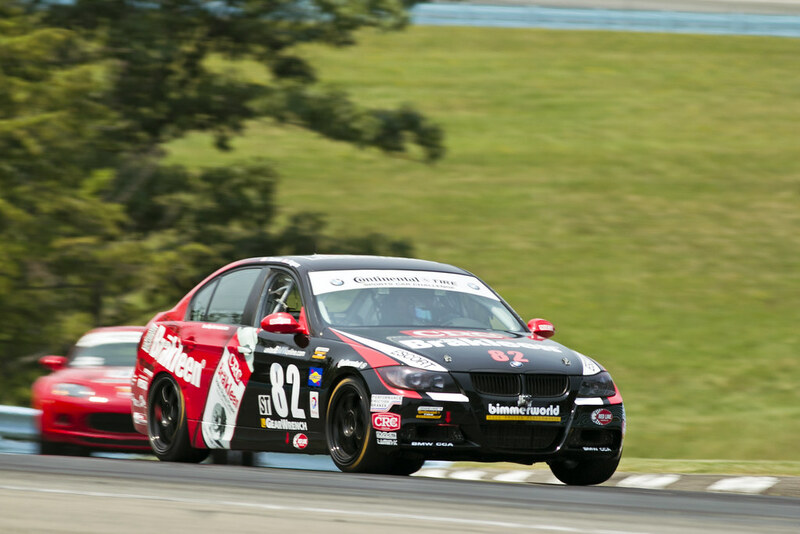 BimmerWorld Racing went into last weekend’s GRAND-Am Continental Tire Series race at the historic Watkins Glen road course with high expectations, but after one of the wildest and most disjointed events in series history, the BMW experts were lucky to leave New York with all three cars intact. A massive downpour fell shortly after the start of the race, followed by a dry period during the middle portion of the 2.5-hour event, which closed with another downpour that had cars skating off the track at speeds below 20 mph. In between the rivers of water running across the track and extended caution periods to collect damaged cars, oddly-timed pit openings led to multiple instances where the entire 57-car field (rather than the usual procedure where the GS cars pit, followed by the ST field pitting one lap later), a traffic jam ensued in the shared pit spaces. 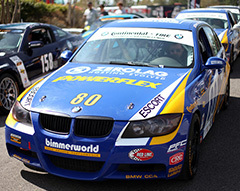 The parking lot of GS and ST cars caused many entries—including the trio of BimmerWorld BMW 328is—to lose numerous positions while simply waiting for room to pull in for service. 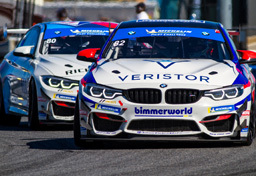 By the time the checkered flag waved, BimmerWorld’s fleet of cars had recovered to take 11th, 13th and 15th in ST, leaving team owner/driver James Clay to shake his head at the unpredictable race that unfolded. 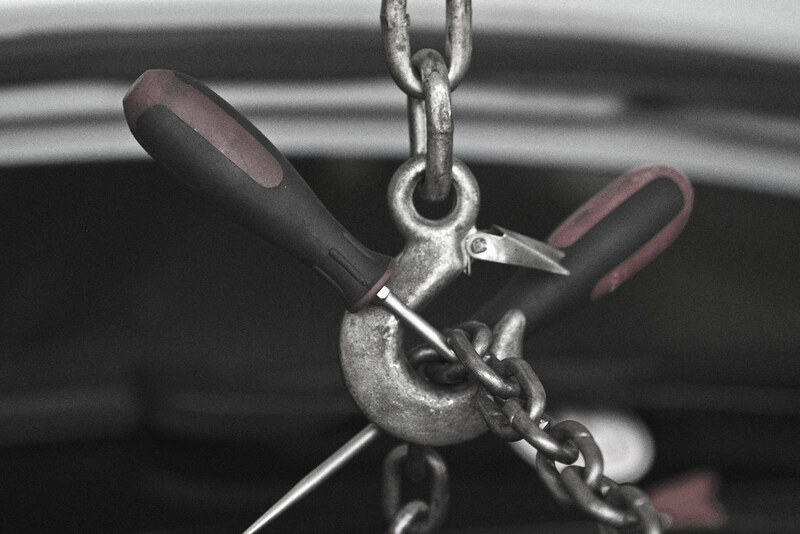 “Weather was constantly changing and we were prepared to deal with it, but with almost 60 cars doing the same thing–and the officials making a bunch of unexpected choices, it was more of a luck-of-the-draw result than anything else,” he said. 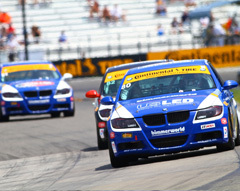 The first car home from BimmerWorld’s trio of BMWs was the No. 81 driven by Gregory Liefooghe and Tyler Cooke. 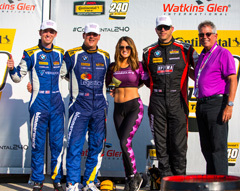 Cooke, a second-year pilot in the Continental Tire Series, put in another excellent drive, securing 11th despite the hurdles. The No. 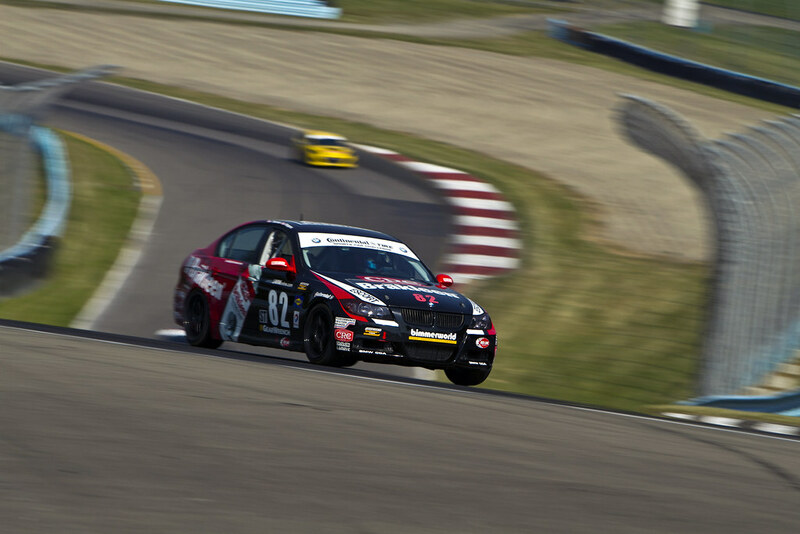 82 CRC BRAKLEEN® BMW 328i driven by Seth Thomas and Dan Rogers followed the No. 80 home in 13th, and both cars, as Rogers describes, were on the right tires to finish the race but did not have enough time to capitalize on it. 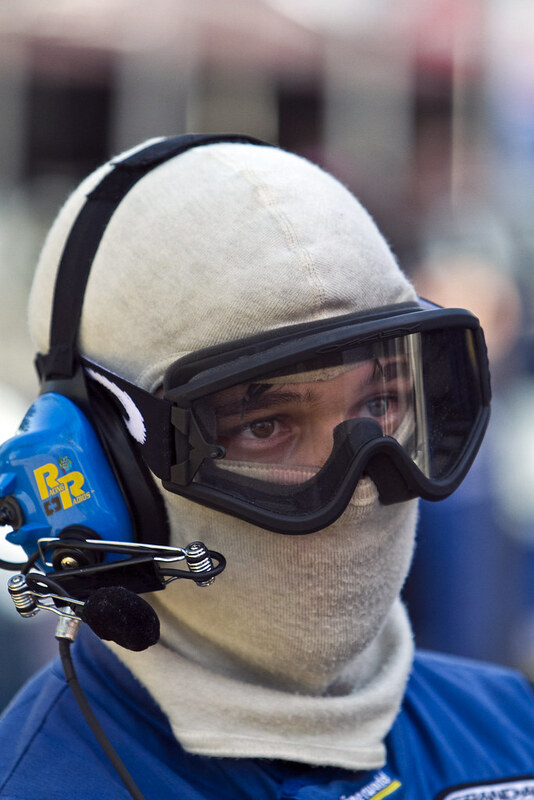 “During my stint, we started dry and then went to wet conditions, which suits us well,” he said. “The No. 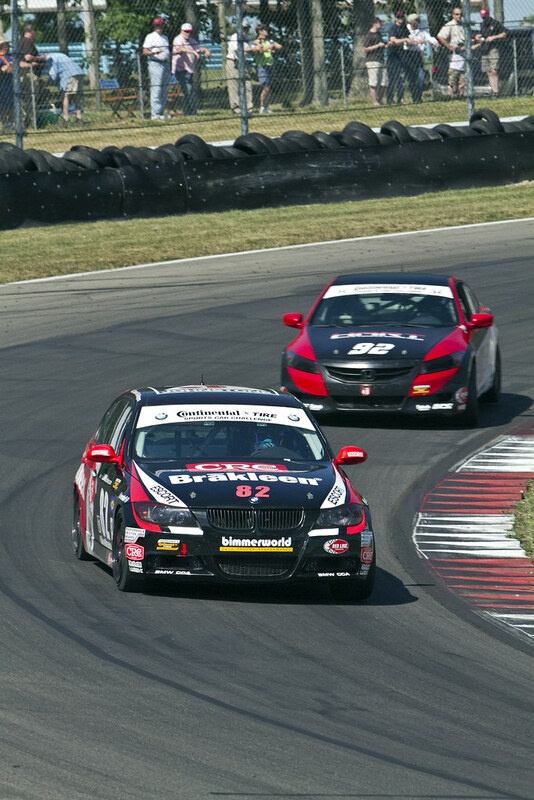 82 CRC BRAKLEEN® car handled well, and we moved up a number of spots, then Seth got in the car an hour into the race, and continued moving toward the front. Towards the end of the race, the crew made a great call to bring Seth in and switch to wet tires as it started to rain. 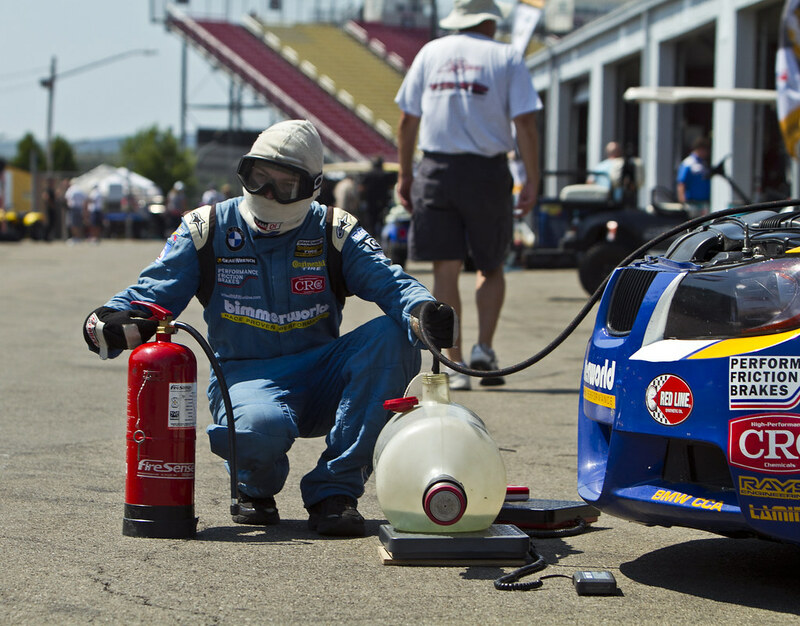 We came out fueled, with the right tires, and good to go to the end. We were ready to stand on the podium! Clay, who stepped in to drive the No. 80 entry with Greg Strelzoff when Strelzoff’s teammate Connor Bloum injured his leg prior to the event, had the opposite problem. Stuck on dry tires as the rain fell to close the race, he performed a number of small miracles to keep the BimmerWorld BMW on the tarmac to claim 15th. 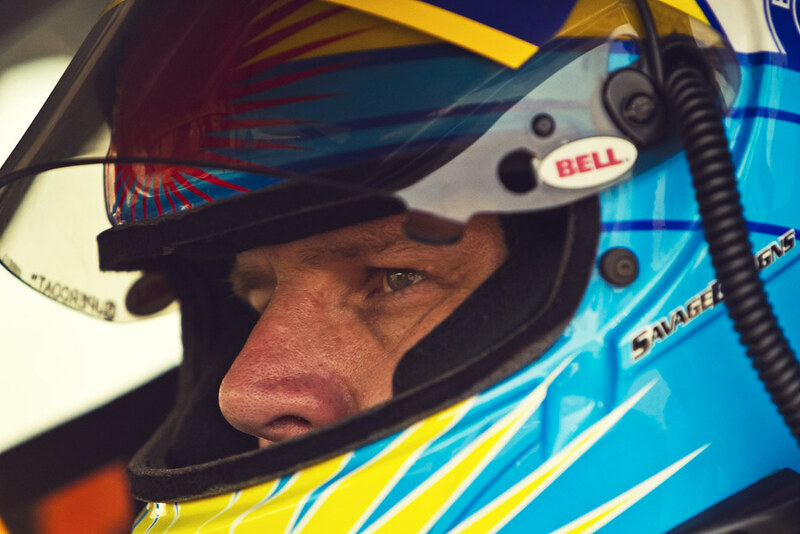 “I am glad I was able to get in the car to work with Greg, and personally I enjoyed being back in the pro cars, but certainly I am hoping Connor’s leg heals quickly and we are able to get him back in the car as soon as possible,” he said. 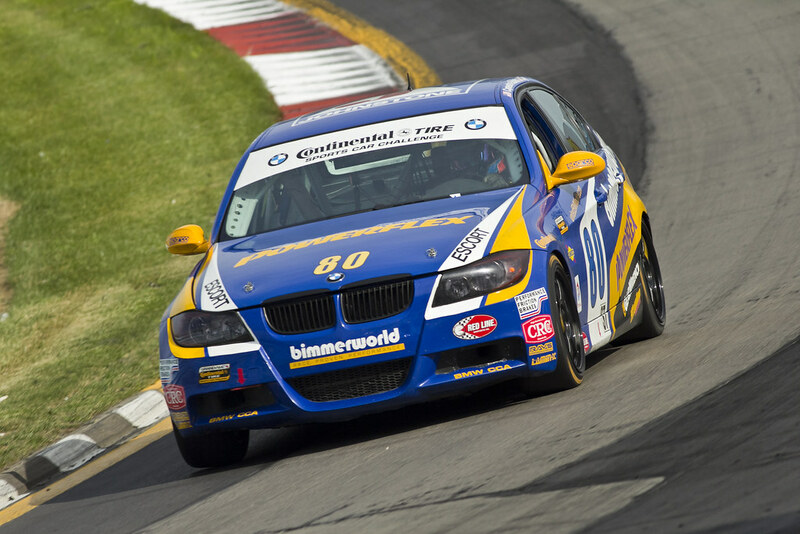 Follow BimmerWorld’s progress as they prepare for Indy at www.BimmerworldRacing.com , and tune in to watch the Watkins Glen round on SPEED at 4 p.m. ET on July 7th. 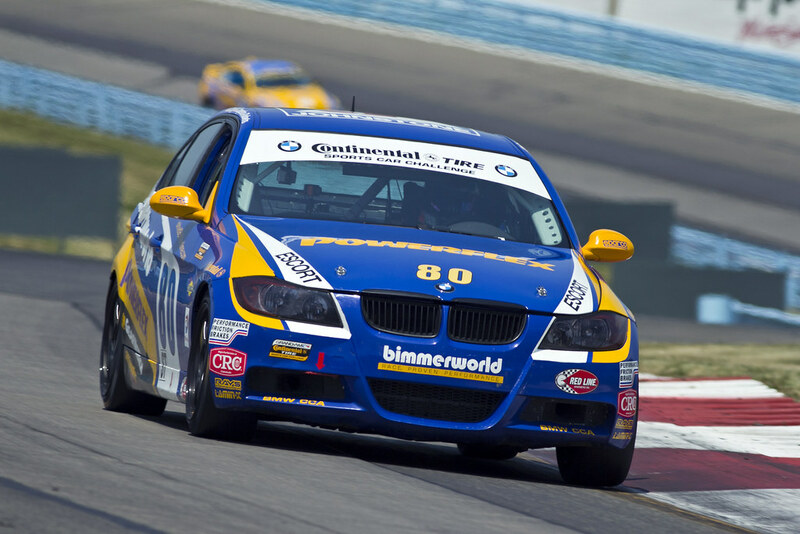 The BimmerWorld Racing team heads to upstate New York this weekend with its usual high expectations for its three-car GRAND-AM Continental Tire Series team, but with the 2013 season now entering its second phase, big picture items are moving to the forefront at each race. 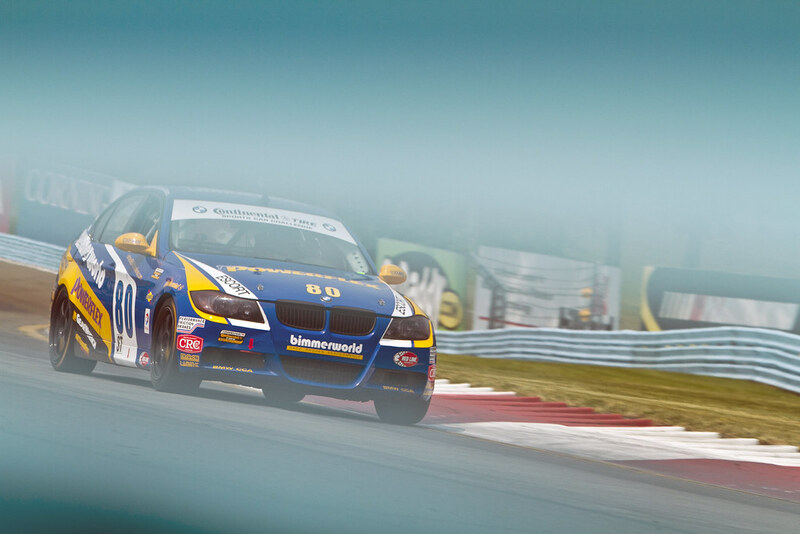 Coming off its most challenging event of the year at the Mid-Ohio Sports Car Course, the Virginia-based BMW tuning and aftermarket specialists want nothing more than to bank solid points and run at the front of the packed Street Tuner division—a ‘reset’ of sorts as the second half of the championship kicks into high gear. 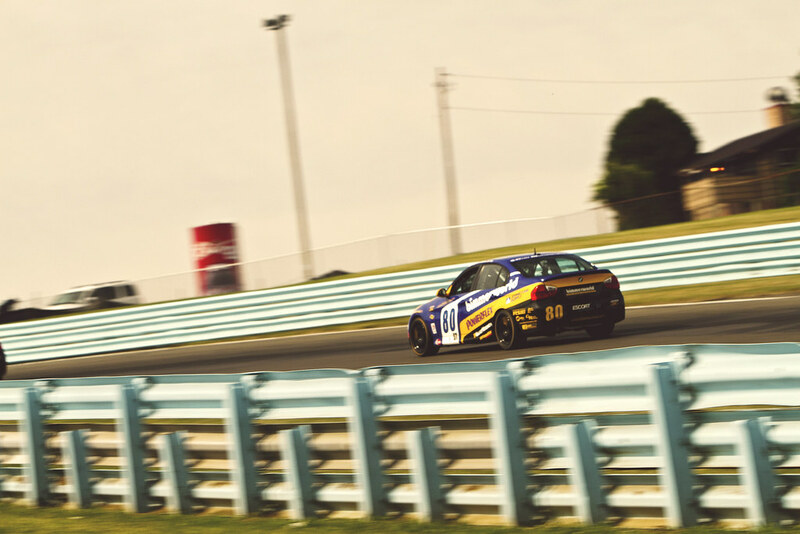 “Certainly Watkins Glen is more the type of track that suits our car, especially with the current weight penalty we have to lug around,” said team owner/driver James Clay, referring to the fast and sprawling Watkins Glen road course. 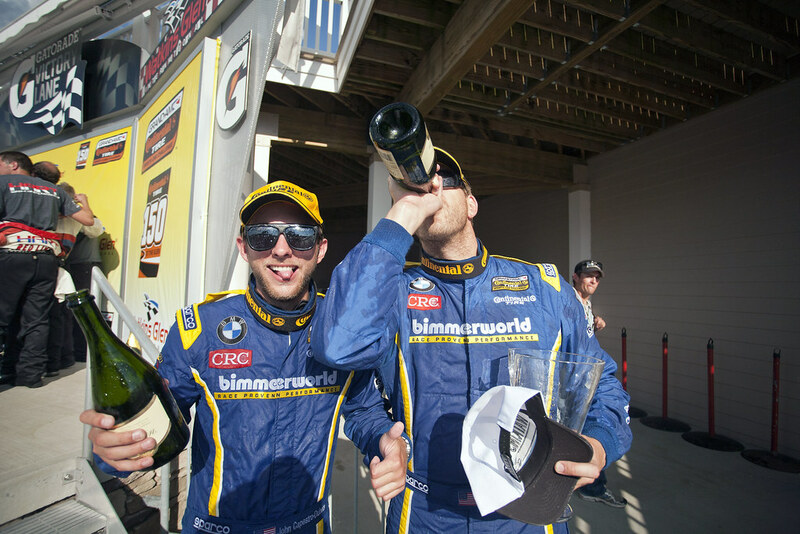 Clay, a race-winning driver in the Street Tuner class, has spent the season concentrating on managing the team and, in concert with his 2012 teammate John Capestro-Dubets (JCD), has been overseeing development of the brand-new BMW 3 Series (F30 chassis) BimmerWorld has in the pipeline for ST. 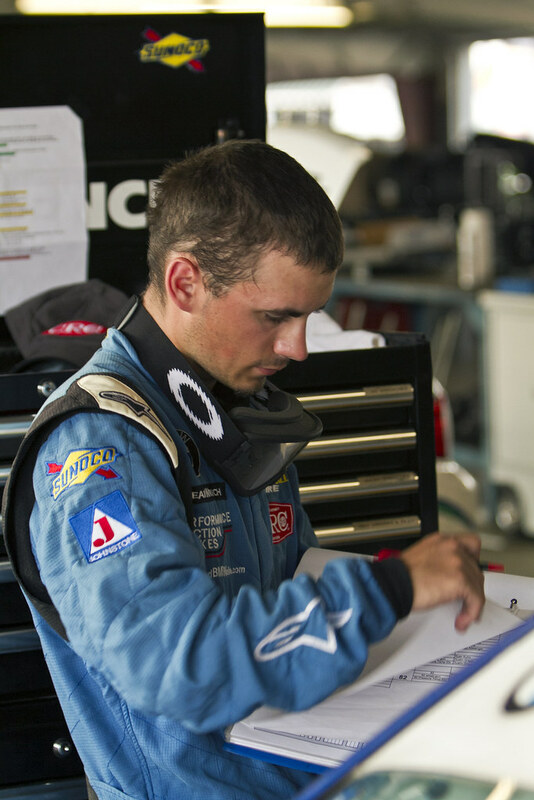 But with driver Connor Bloum, co-driver of the No. 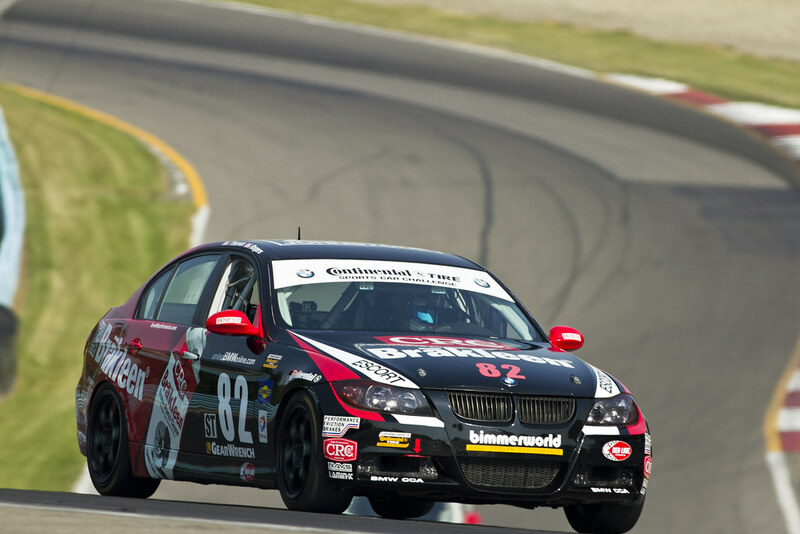 80 BimmerWorld entry, suffering a leg injury between rounds, Clay will step into the cockpit with Bloum’s teammate, Greg Strelzoff, for the Watkins round. Tyler Cooke, who shares the No. 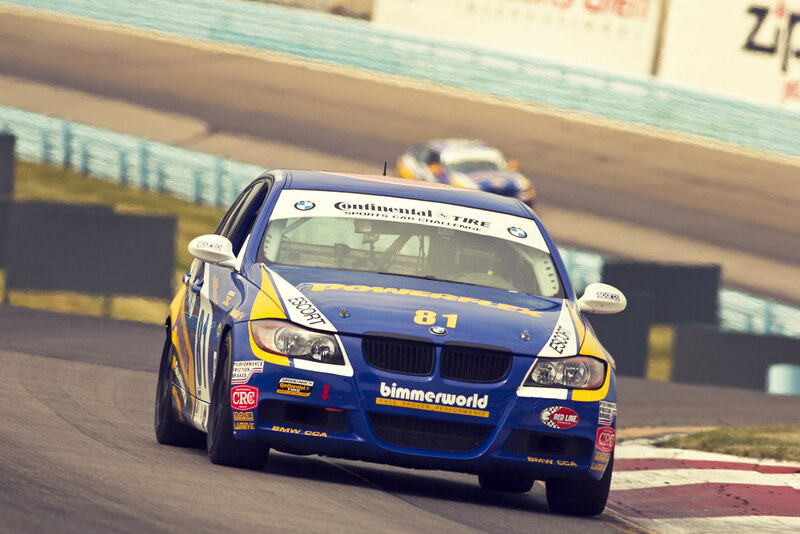 81 BimmerWorld BMW 328i with Gregory Liefooghe, is looking to move up in the standings after Watkins Glen, but says that pure aggression alone won’t get the job done. 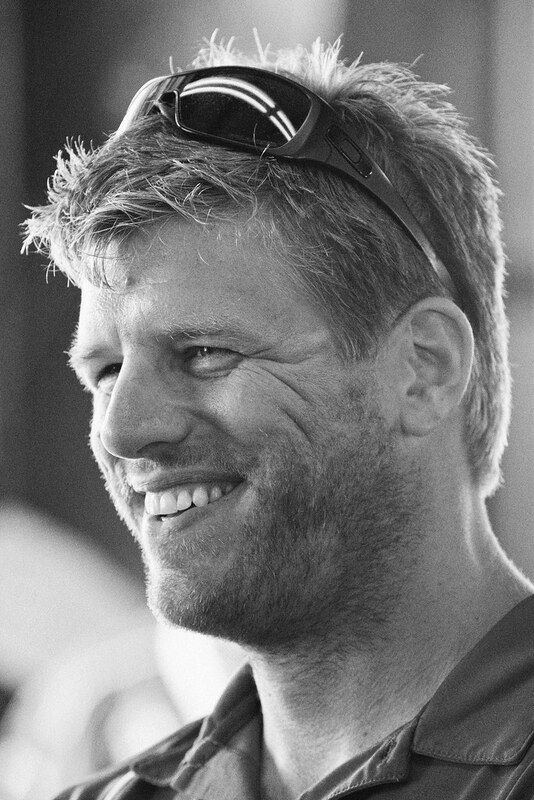 Seth Thomas, who pilots the No. 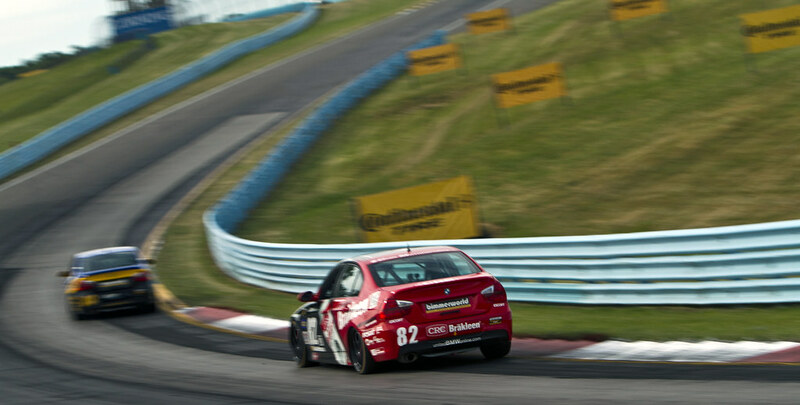 82 CRC BRAKLEEN® BMW 328i with Dan Rogers, has been in the tin-top wars for years and knows plenty about championship pursuits. 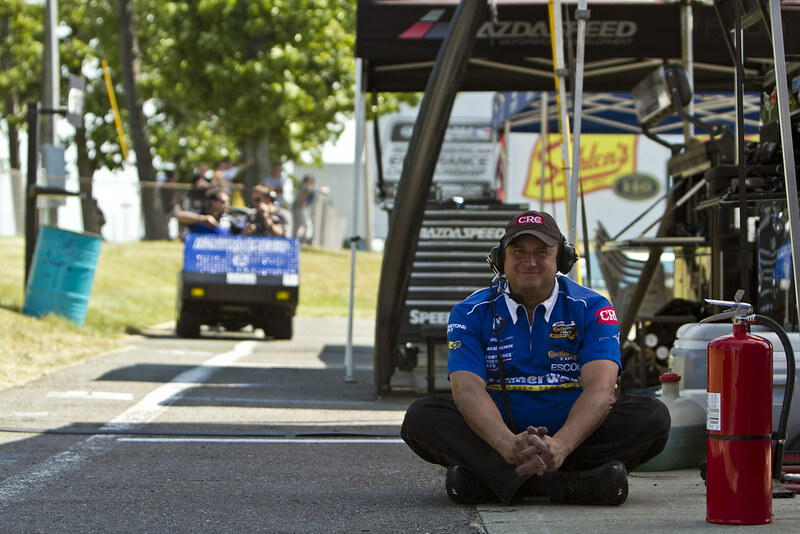 He’s also looking to the Watkins race to secure more points, but isn’t quite ready to play things conservatively. “With six races still left on the schedule, there is a lot of time to think championships,” he explained. 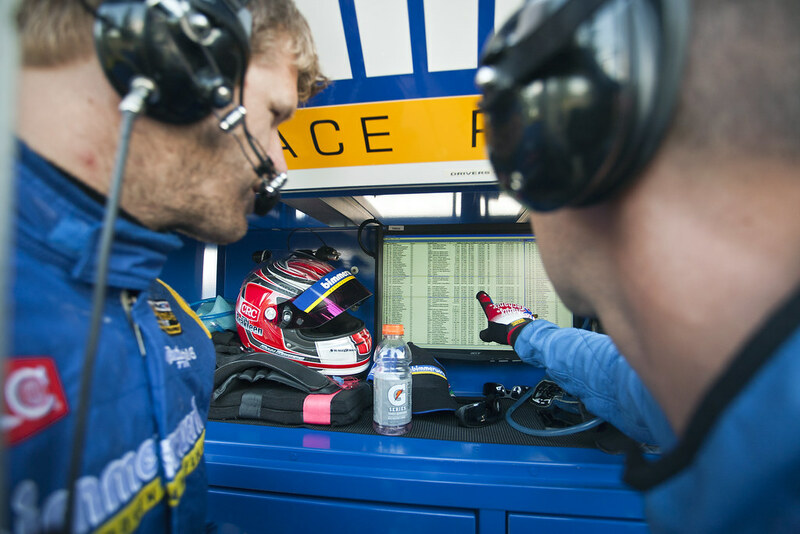 “We still have a shot at the drivers’ championship but in order to make this happen we need to push. 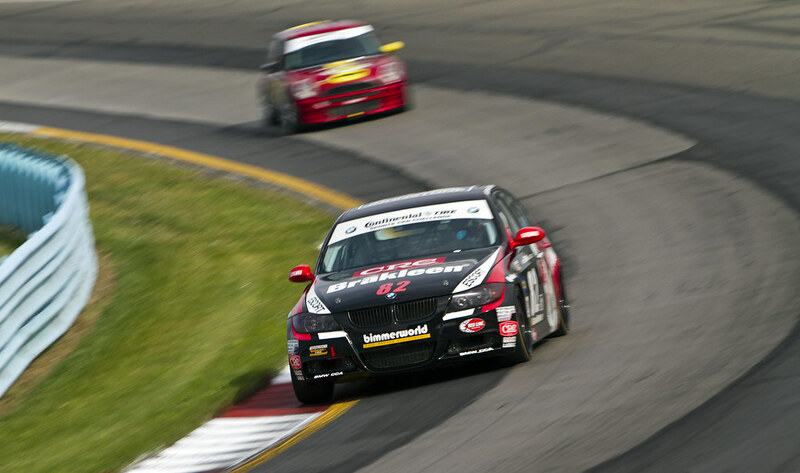 So at Watkins, we will be pushing hard to close the points gap to the cars in front of us. This will make us more aggressive than if we were the points leaders. 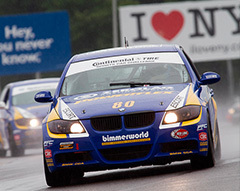 Follow all the action with the BimmerWorld Racing team this weekend from Watkins Glen at www.BimmerworldRacing.com. 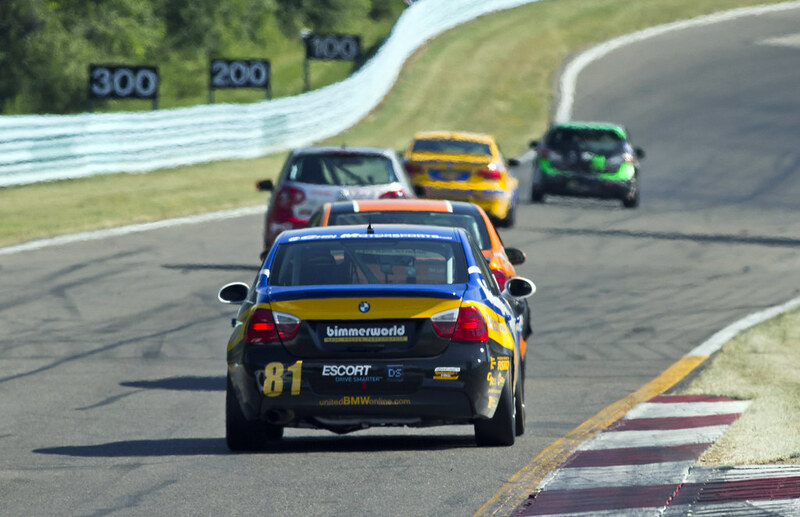 Coming off its third GRAND-AM Continental Tire Series race in a span of four weeks, the BMW experts at BimmerWorld closed the arduous string of events in impressive fashion at New York’s storied Watkins Glen circuit. On the face of it, the numbers look good: another podium for team owner/driver James Clay and co-driver John Capestro-Dubets in the No. 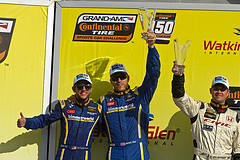 80, an eighth-place finish for Gregory Liefooghe and David Levine in the No. 81 and a 15th-place result for Seth Thomas and Dan Rogers in the No. 82, but it doesn’t tell the full story of BimmerWorld’s achievement. 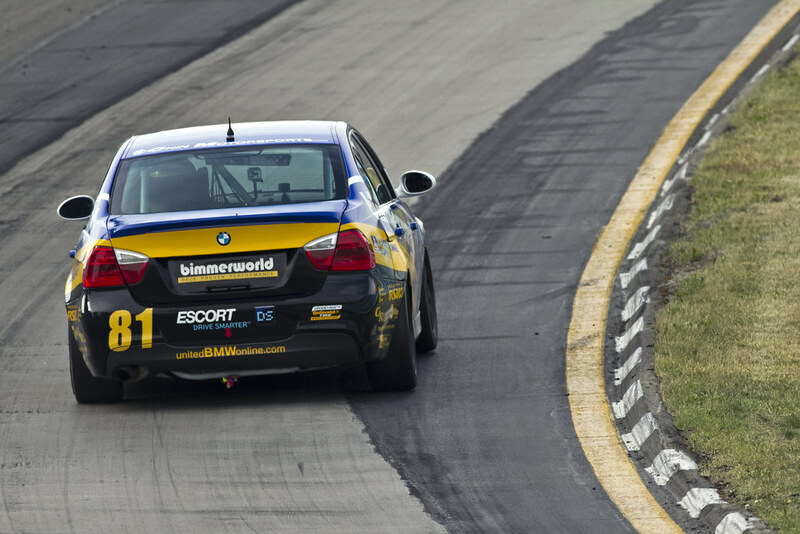 Utilizing the renowned BMW E90 platform, BimmerWorld’s trio of 328is rank among the most heavily restricted cars in GRAND-AM’s Street Tuner class, yet despite the massive amount of weight the cars carry, and the air restrictors that limit the power from the BMW’s six-cylinder engines, Clay’s team has continued to deliver performances that should be unattainable. 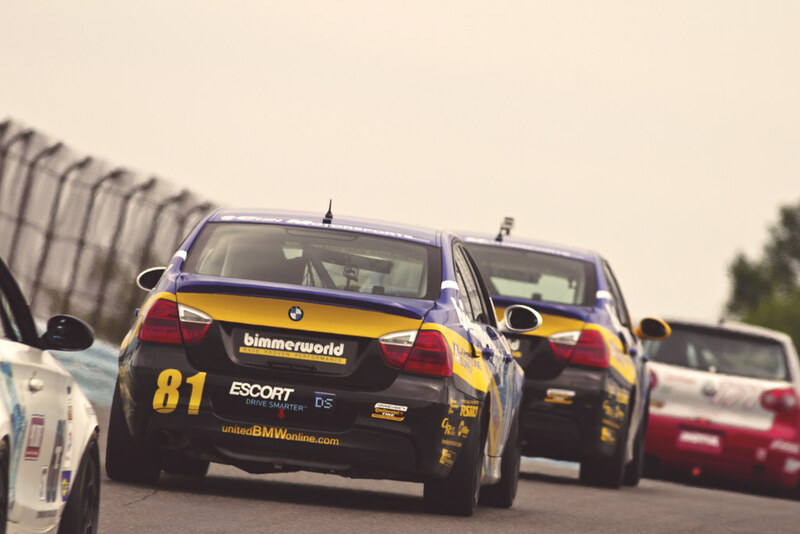 With their BMWs sanctioned to rather extreme levels, BimmerWorld’s focus for 2012 has been to perfect every other area within the program in an effort to compensate for the performance the rules have taken away. 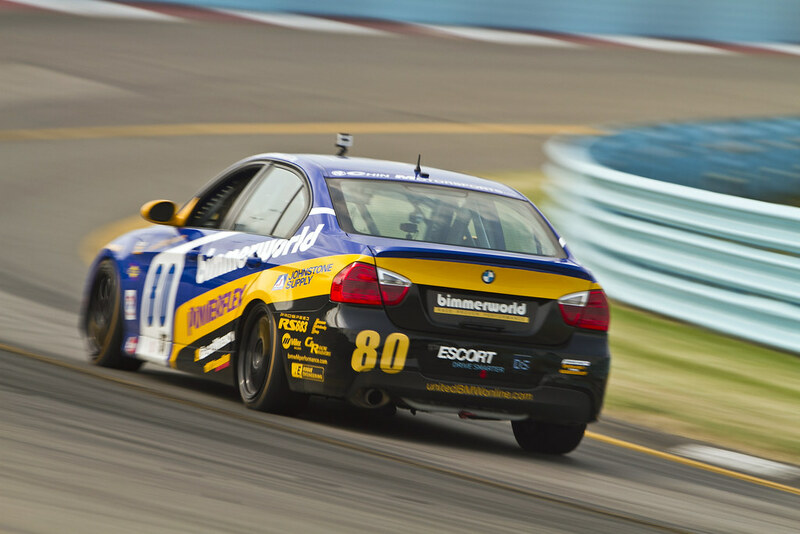 Drawing from an exceptional amount of talent from its crew and drivers, the Watkins Glen race showcased BimmerWorld’s formula of using speed, consistency and flawless execution to overcome most of the advantages held by the competition. After a humbling start to the season, Clay and Capestro-Dubets turned their fortunes around during June’s three-race run, taking a fifth at Mid-Ohio, a third at Elkhart Lake and another third last weekend. 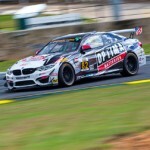 With BimmerWorld’s total team coaching process at his disposal, Capestro-Dubets has made great strides during his sophomore season in ST, and credits the support he’s received for his continual development as a pro driver. As the leader of the No. 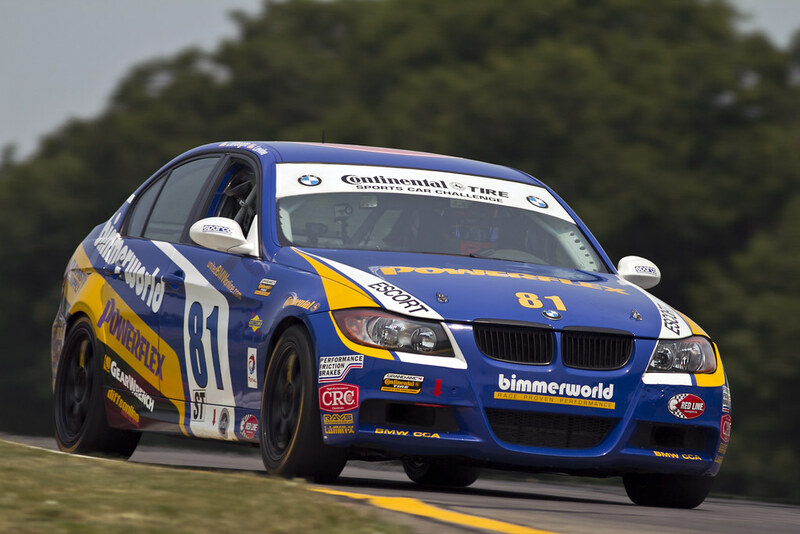 81 BimmerWorld BMW, Liefooghe receives plenty of accolades for his driving and coaching talents, and paired with ST rookie Levine, the two have formed one of the most effective driving combos in the series. In addition to their win at Round 2 this year, the intra-team highlights continue to grow and shift towards Levine as he makes the transition from being the new kid on the block to a seriously talented competitor alongside Liefooghe. 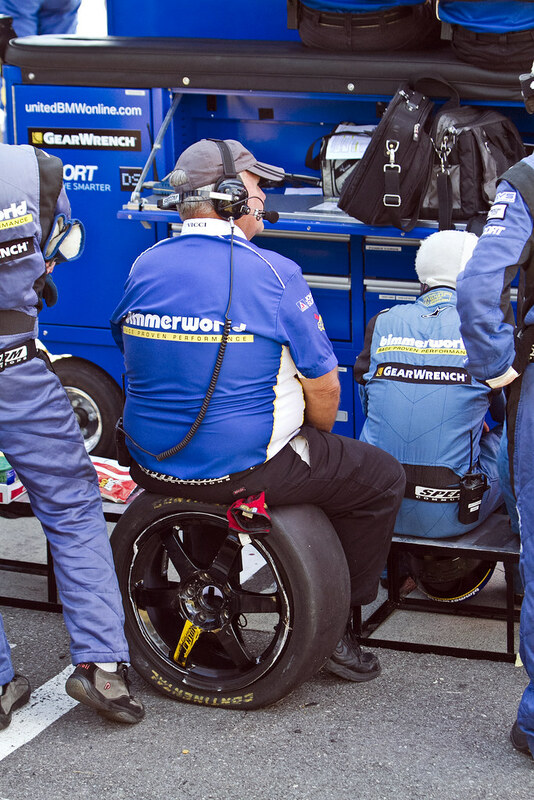 Plenty can be said about Levine’s drive at Watkins Glen, but the most impressive stat centers on the 27 positions he and Liefooghe managed to earn on their way to an eighth-place finish. If the No. 80 was the lightning rod for bad luck early in the year, the No. 82 CRC BRAKLEEN® BMW 328i took its place recently. After dealing with mechanical gremlins and a rough-and-tumble race, Thomas and Rogers fought back to recover 14 spots to claim 15th in ST. 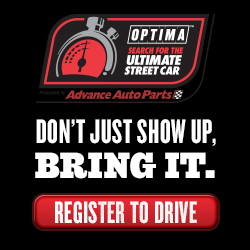 In a sea of other manufacturers in the Street Tuner class, there’s one metric that stands out quite heavily this year—the Manufacturers’ Championship. 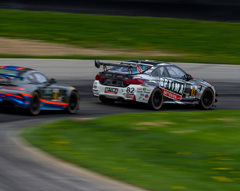 As a privateer program, and despite heavy factory involvement in the class, BimmerWorld’s tenacity and consistency has BMW sitting atop the championship after seven rounds, which serves as a point of pride for Clay and his team. 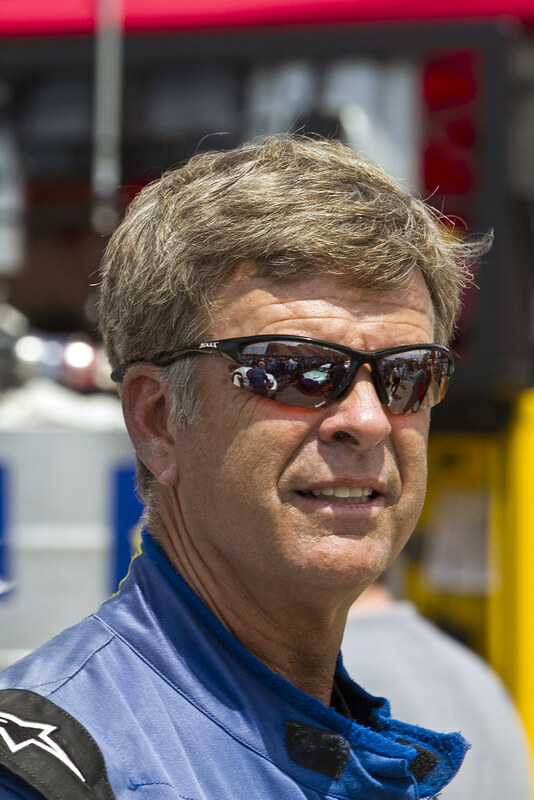 Now that the team has a little bit of time to breathe before the series makes its debut at the legendary Indianapolis Motor Speedway later in the month, Clay is also starting to plan ahead for next season.